Space NK is known for delivering an edited curation of the world’s most innovative beauty products. 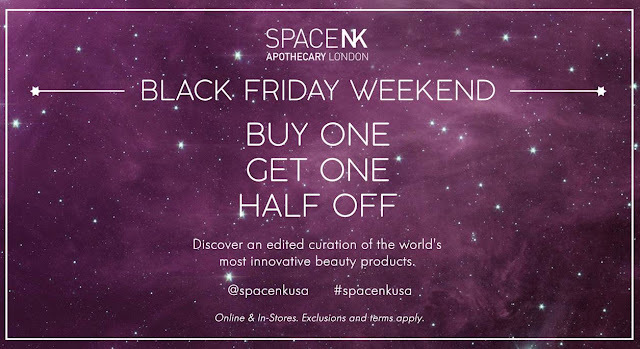 For the first time, Space NK is offering customers a special Black Friday weekend promotion to BUY ONE – GET ONE – HALF OFF. Early access to the promotion starts in-stores only on Wednesday, November 22nd. The offer will then go live starting on Black Friday, November 24th online and in-stores, running through Cyber Monday, November 27th. Shop the Space NK curation in advance and load your shopping cart online now for savings when you shop on Friday, November 24th.